In general, it compares favourably with the Gamecube controller. If you're looking for something to play smash with and don't have the adapter, this is probably a good second choice. If you love the Gamecube controller and wish you could play other games with it, then this would be perfect. 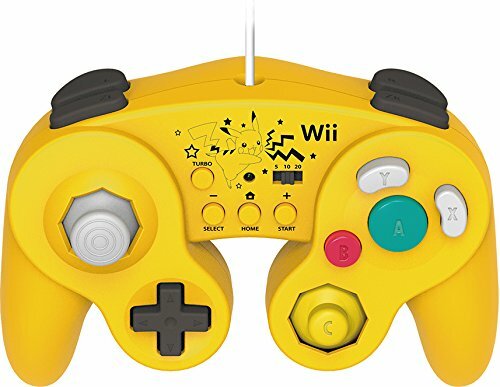 Another alternative is the PDP Wii Fight Pad. By comparison, with the PDP controller (which I don't have): the color choices are more varied (Yoshi, Donkey Kong, Peach, Samus, etc. ), the c-stick is a full analog stick, the buttons are clear glossy, and the Z shoulder buttons are more like the contoured gamecube controller triggers, but no turbo. The form factor is also not identical to the gamecube controller, but similar enough. Posted on January 13, 2015 by Eugene Huo and filed under Reviews and tagged HORI smash bros gamecube controller PDP features.